Once again, I don't have a particular book I want to read, or am planning to read, this month. I bought nine paperbacks the other week from a charity shop (three books for £1!) and have downloaded lots for my Kindle, so I have quite the selection to choose from. I will just see what takes my fancy. 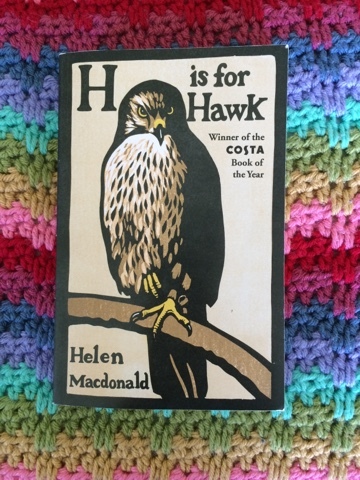 H is for Hawk by Helen Macdonald might be a bit of a Marmite book - I know lots of people who have read it and loved it, and others who thought it was dreadful. I have my mum's copy and she (and her book group) didn't like it. I have to agree - I found it incredibly boring. Helen's father dies and she buys a goshawk. She then tries to train the goshawk whilst she is mourning for her father. I found it so, so dull. I have no interest in birds of prey (except owls. I like them). Some reviews I've read have said the writing makes up for the specific subject matter, but to be honest, my favourite thing about this book is the picture on the cover. The Water Knife* by Paolo Bacigalupi was excellent - set in the not too distant future, the southern states of the US are suffering from severe water shortages and the water supplies are protected by large organisations who will do everything they can to keep their water to themselves. There are refugees from Texas trying to make their way north to states where there is more water. Water knives are people employed to protect the water at whatever cost necessary. A really good, fast-paced story. What Milo Saw* by Virginia MacGregor kept me occupied on a train a while ago. Milo has a medical condition meaning he has very limited (and failing) vision and this shortish story accounts what Milo can see as his grandmother moves into a nursing home and the other adults around him are doing weird adult things he tries to understand. 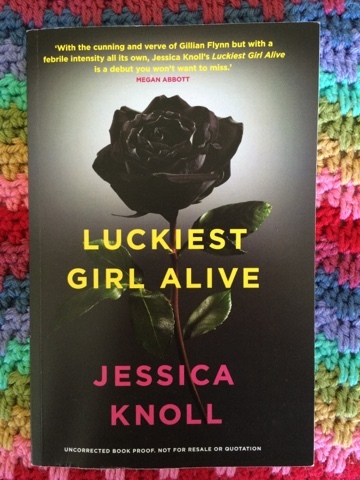 Luckiest Girl Alive wins the award for the most annoying characters I have read about this year. Ani, the central character is annoying. Very annoying. She lives in New York City, has a great job, expensive clothes, handsome fiance and thinks she is living the perfect life she planned for. She and her friends talk about calories, how fat they (and others) are (not), complain about other people, are rude, self-centred and mean. When she was at school Ani went through a traumatic experience and various events of her past are now resurfacing. Apparently there was a twist I wouldn't see coming, but I did see all the twists coming - it's incredibly predictable and annoying. I may have already said that. Apparently Ani represents women who want to 'have it all' - all I can say is that I certainly don't want to have it all if that means being like Ani and her 'friends'. 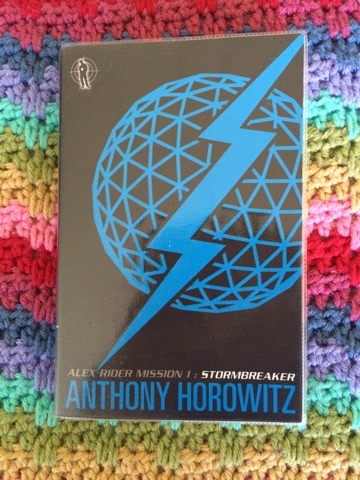 I reserved Stormbreaker from the library as part of a reading challenge - to read a book by someone with the same initials as me. It was a perfectly pleasant book, and good fun, but I can't remember a thing about it two weeks after reading it. Urgh. 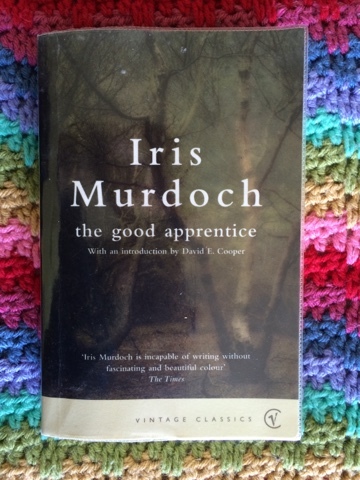 Iris Murdoch. I've tried, and we're not friends! As part of the same challenge, I wanted to read a book published in the year I was born - 1985. Looking at the books from that year, there are some great ones I've read and loved - A Handmaid's Tale by Margaret Atwood being one of them. I read The Sea, The Sea last February and it was the only book I read that month, such was the struggle to read it. I felt it only fair to try her writing again, but oh my goodness we are not meant to be. 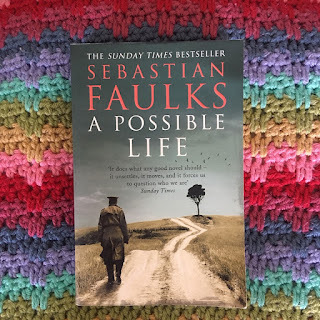 It was full of too many characters (I think I'd met about 35 within a few pages, all with complicated relationships to and with one another) and there was so much dialogue, and so many back stories, and I admit to skim reading this one. I've tried, but I have limited reading time and I'm not going to spend any more on these 'classics'. Not sorry! 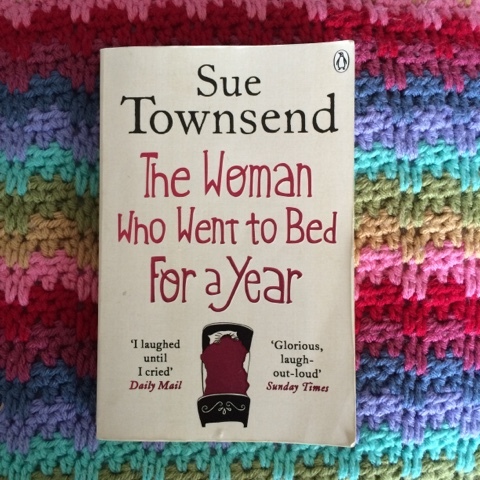 The Woman Who Went to Bed For a Year by Sue Townsend was one of my 33.3333333p bargains. Eva's children have just left for university, Eva decides she wants to go to bed after running around after her husband and children for so long, and so does indeed go to bed. She doesn't get up for a while. I did smile in a few places, but not sure it was laugh out loud. *Thank you to the publishers via NetGalley for giving me a copy of this book. All thoughts and opinions are, of course, my own. **Thank you to the publisher for sending me a copy of this book. What a lot of reading going on! I had The Goldfinch to read for bookclub, and unsurprisingly it took the whole month! The Goldfinch is on the large side! A great book, though. Wow that's a lot of books for one month! It takes me a month (or more) to finish one book. I had to laugh at your final comment about H is for Hawk. It really is a nice cover (I won't bother to read it though). I have a huge to-read pile and am trying to read them before buying others but I read such great reviews and end up seeking them out. We need more hours in the day! !